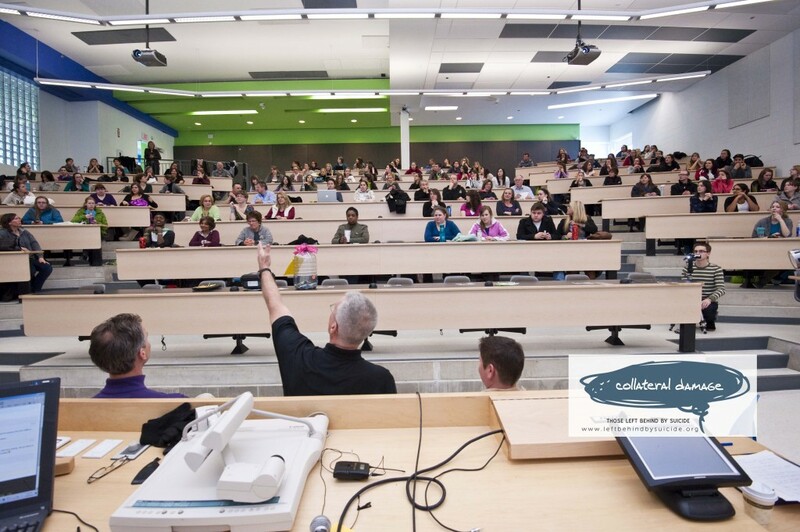 On February 11th, 150 students from the School of Education at Laurentian University and teachers from the Sudbury area, including Manitoulin Island gathered for an event of suicide awareness and prevention training. I gave the keynote address on the Collateral Damage Project to open the day. After my presentation, students and teachers headed out to five classrooms to take SafeTALK. SafeTALK is a three hour workshop that prepares anyone over the age of 15 to identify persons with thoughts of suicide and connect them to suicide first aid resources. SafeTALK instructors came from Confederation College in Thunder Bay and Georgian College in Barrie. A big thank you to instructors; Jim, Janice, Heather, Linda and Greg. After the three hour SafeTALK workshop, we all gathered back in the auditorium for a panel discussion facilitated by CBC Radio Journalist, Megan Thomas. This was an interactive and open discussion on SafeTALK and suicide prevention in general. Please check out our forum for some of the questions asked. Also, feel free to add your comments in the forum as well. The day ended with 150 teachers receiving the certificates for SafeTALK…..this is what creating dialogue is all about. 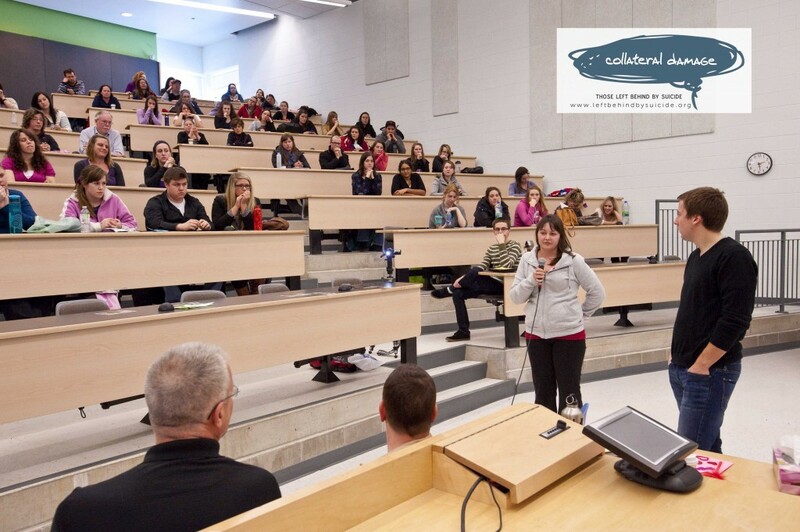 SafeTALK can (I believe must) be taught on any given Professional Development Day for Teachers. I challenge all school boards to make a commitment to having all teachers trained in SafeTALK. SafeTALK should (I believe must) be incorporated into Teacher College curriculums. 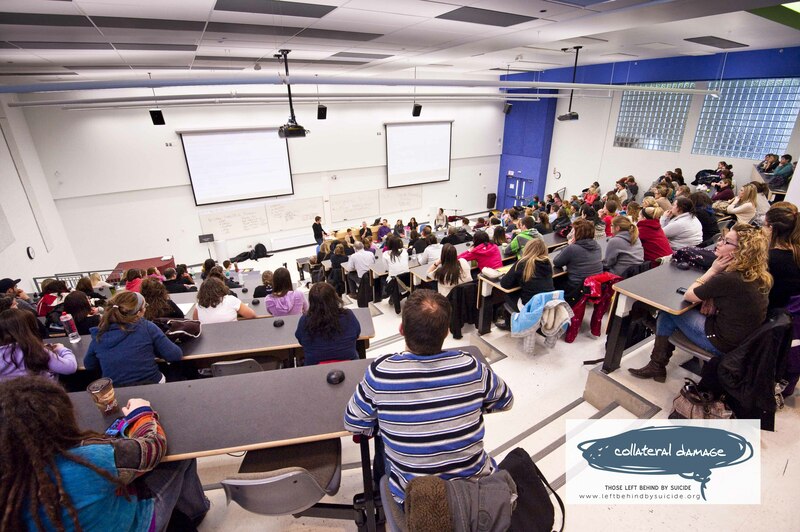 I challenge each and every University across Canada to make the commitment to make SafeTALK training part of Teacher College curriculum. A room filled with SafeTALK Trained Teachers. CONGRATULATIONS!!! Ben Skillings, student at Laurentian, talking with the media. To all those who participated, Thank you. I ask that everyone leave your comments here with your thoughts on ‘next steps’. Teachers….Will you send letters to school administrators asking for all teachers to be trained in SafeTALK? 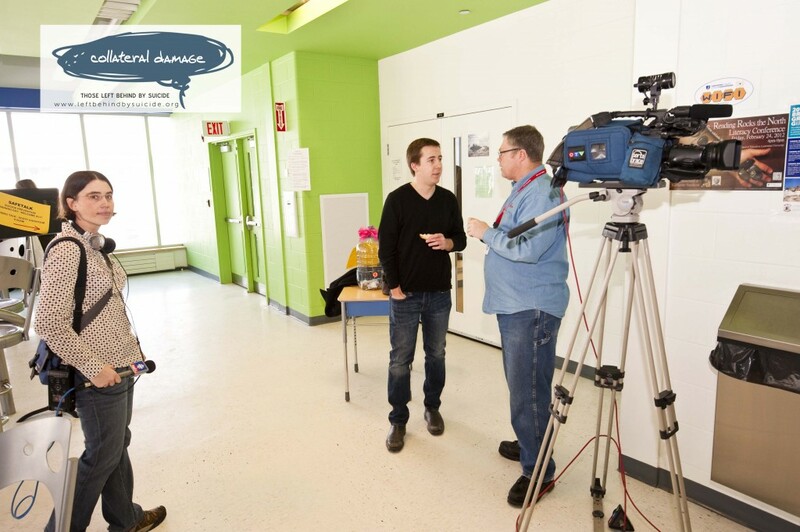 Students….Will you write letters to Dominic Giroux, President of Laurentian University, asking him to work with you to ensure that SafeTALK becomes part of the School of Education curriculum? I would also encourage you to send letters to the Minister of Education. Thank you because NOT TALKING ABOUT IT ISN’T WORKING. 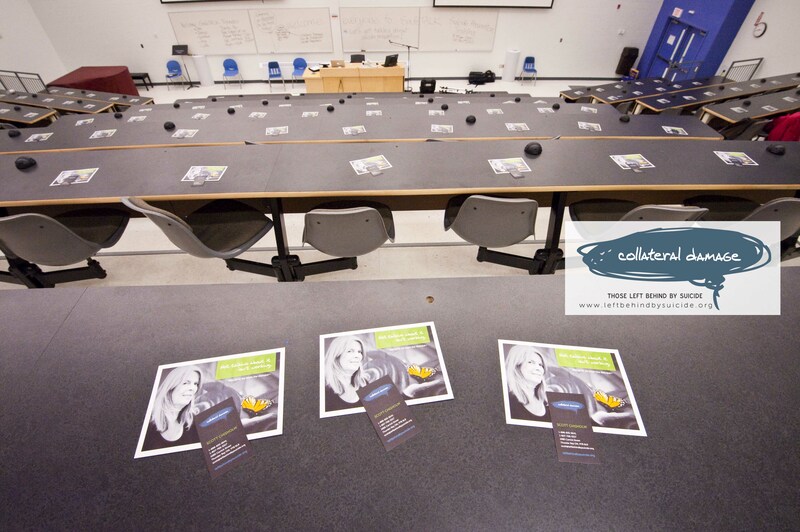 We’re all still buzzing about the SafeTALK Training Day here at Laurentian’s School of Education. Hats off to the SafeTALK training crew: Jim, Heather, Linda, Janice, Greg and to Scott and all of the participants in the day. It was TRANSFORMATIONAL!!!!! !